The DekoRRa Garden Box is ideal for the home owner or renter that has limited space in there outdoor living area but wants to enjoy growing there favorite flowers or herbs. Did you know you can keep mosquitos away by planting lemon grass? 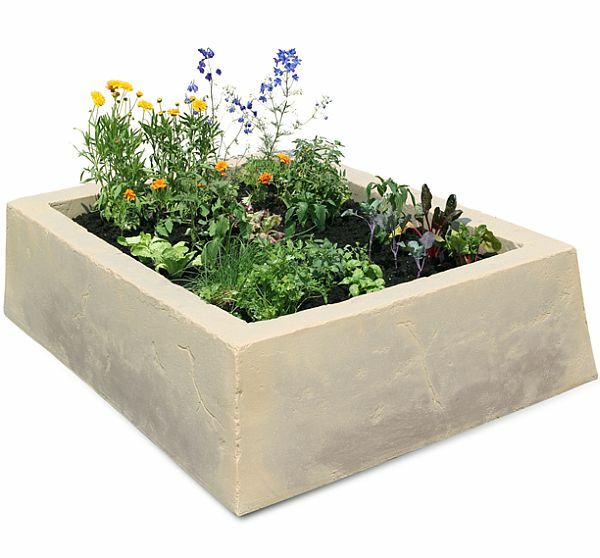 This garden box would be ideal for planting wherever you need to. If you have a balcony in your condo or apartment, the Garden Box is 62 inches long x 46 inches wide and stand 16 inches tall. With the right plantings and proper placement, you could be well on your way to a beautiful flower bed or a healthy alternative to store bought herbs. The fresher herbs are, the better they taste and more of the neutriants are still cotained in them. Available in three beautiful, natural colors: English castle, Sedona Sunset and Tuscan Villa. With names like that, how can you not think of old world colors and classic European design.